Almost every district and charter in Idaho is out of compliance with state laws created to promote transparency in spending, contracts and long-term strategic planning. All expenditures, including the name and address of those receiving money. A description of the expenditure. Any contract related to an expenditure, including teacher and vendor contracts. The 14 districts and charters that fully comply with state law: Boise, Blaine County, Basin, Boundary County, Vallivue, Mountain Home, Post Falls, Shoshone, New Plymouth, Twin Falls, Coeur d’Alene Charter Academy, Taylor’s Crossing Charter and Victory Charter. Only 14 of 164 districts and charters are in complete compliance, while at least 18 have posted nothing on their websites. Most districts and charters have fulfilled some requirements, but often their data is outdated. “This most certainly is not in the best interest of taxpayers, parents and students,” said Rep. Wendy Horman, R-Idaho Falls. 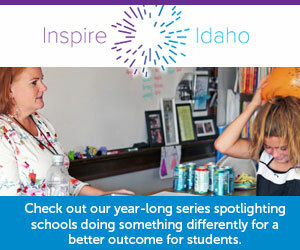 The Boise School District is one of the best in Idaho for posting state-required information. The West Ada District is not far from complying but hasn’t posted teacher contracts for the last couple of years. The posting requirements are parts of Idaho codes 33-357 and 33-320. The laws don’t designate enforcement or penalties for non-compliance. Horman says the State Department of Education should be “encouraging lawful behavior” as part of its oversight responsibility. State Superintendent Sherri Ybarra disagrees and points to local governing boards. “There are several different people who could be responsible, but certainly not the State Department of Education,” Ybarra said. Like West Ada and many other districts, the Nampa School District’s website is missing its most recent financial information and teacher contracts. Among the best at compliance and easiest website to navigate was in Mountain Home, where Will Goodman presides as technology director. Earlier this year, Goodman served as the State Department of Education’s chief technology officer. At least 18 districts and charters had none of the required information posted on their websites. They included small districts like Meadows Valley, three elementary districts and alternative or online charters. The Pocatello/Chubbuck School District was the most non-compliant of larger districts. Some financial information was available on 128 websites. Most information was out of date, however. No financial information was posted on at least 30 sites. No required information was available on at least 18 sites. Sixty-eight sites did not post strategic plans. Fifteen sites featured a strategic plan, but no financial or contractual information. Idaho Education News data analyst Randy Schrader collected data for this story. Almost every Idaho superintendent made improvements to their websites, posting updated expenditures, contracts and strategic plans — requirements of state law.